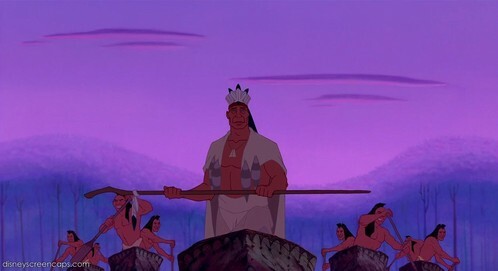 Which tribe had Powhatan and his warriors just defeated when they returned inicial at the beginning of Pocahontas? Here comes the king. Beauty and the Beast.